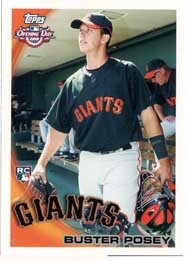 Good: Players like Roy Halladay and Curtis Granderson are on their new teams, which wasn't the case in 2010 Topps Series 1. Kids might enjoy the Topps Attax Inserts. 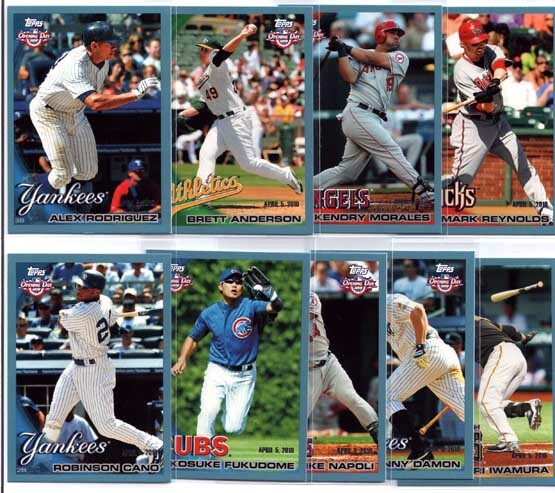 The Bottom Line: I cannot think of a single reason for anyone to buy Opening Day - instead pay $1 more and get a pack of Topps Series 1. There is nothing in this product that even borders on being fun or valuable. The product is geared towards kids, but kids deserve something better than this. If you like Topps Attax, I would recommend just buying a pack of Topps Attax. Another note to young collector's, these cards will probably be hard to trade to your friends, especially if they have regular Series 1 cards. If you must have a Roy Halladay in a Phillies uniform card, or any other player who is in the wrong uniform in Series 1, I would suggest simply buying one from the common section at your local card store or having your parents help you buy one for $1 on eBay. 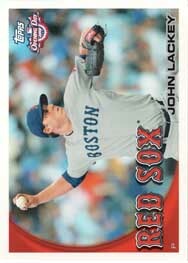 It's 2010 Topps Series 1 with an "Opening Day" logo on the card. I've never understood why they didn't try and do something different with Opening Day. 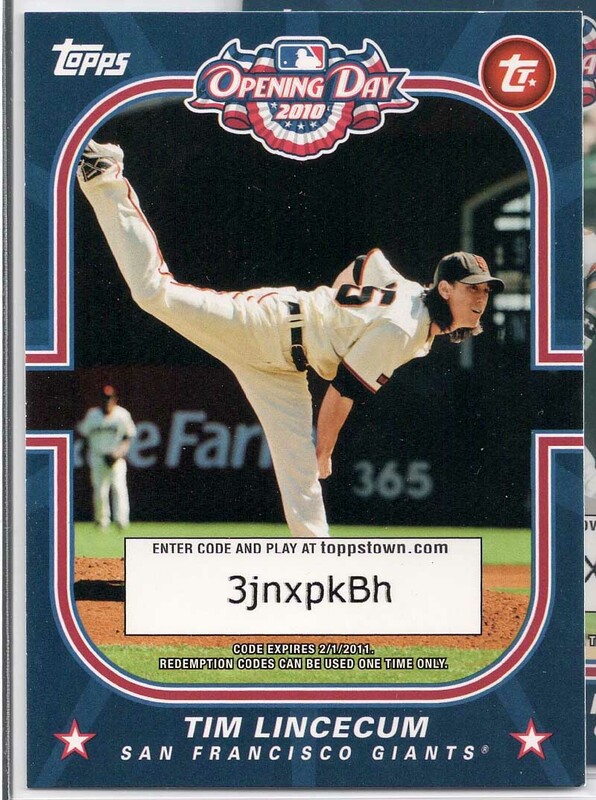 At least Topps Chrome is made out of the trademark Topps Chrome stock. At times, you honestly mistake an insert with a advertisement filler. Overall, the design is uninspired, unoriginal, and simply unappealing. It's a down sized version of the ToppsSeries 1 checklist without short prints. 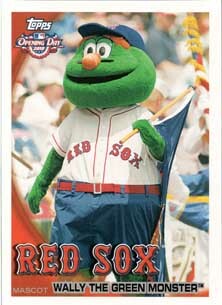 The insert checklist is filled with mascots, moments from 2009 games, and Topps Attax cards. Again, if you like Topps Attax, I would recommend simply buying a pack of Attax. 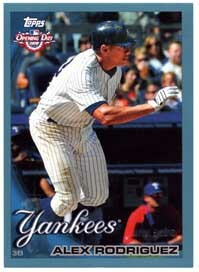 On a yearly basis Topps Opening Day are perhaps the most worthless cards released. 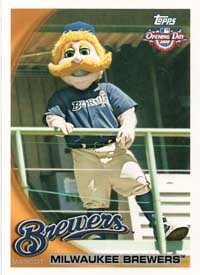 You get the same cards as Series 1, only they are worth substantially less. In a 36 pack box, I don't think I got one card that is worth more $3. The only decent value is found in the blue parallels, which are numbered to 2010. 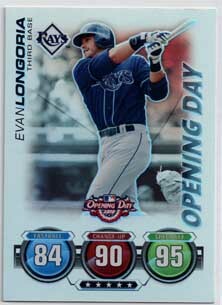 Opening a 36-pack box of Opening Day felt more like a chore. Opening cards is supposed to be an enjoyable experience, but there just isn't anything fun about opening an extremely poor man's version of a product that you've already opened this year (Topps Series 1). 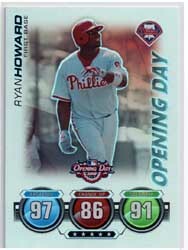 No matter what product, you should at least feel like you have a puncher's chance at pulling something amazing, Opening Day doesn't capture the dream of pulling the improbable hit. I would give this product a 0/5. I don’t think there needs to be further explanation. The cards, even if there of a great rookie, don’t hold their value. They would be a great set to collect with children to ease them into the sports card world because they are cheap and you don’t have to worry about the condition because they aren’t worth anything. This would be a good product to hand out to kids at a birthday party. I think other than that its pretty bad. Don’t buy it. I wouldn’t waste the money instead buy series one or two. I give it a 1 out of 5.